Smart horn pommel mounted on black hardwood shaft with silver collar. The silver collar holding the Assay stamp for London 1906. 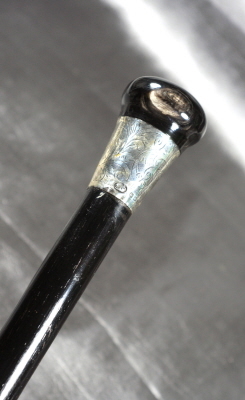 The base of the cane finished with metal ferrule. Good condition throughout without breaks or tears, yet showing appropriate wear for age.